Cut eggs in half and put yolks into small mixing bowl. Set whites aside. Add mayonnaise to yolks and mash until smooth. Fold in pickle,mustard, horseradish and hot pepper sauce. 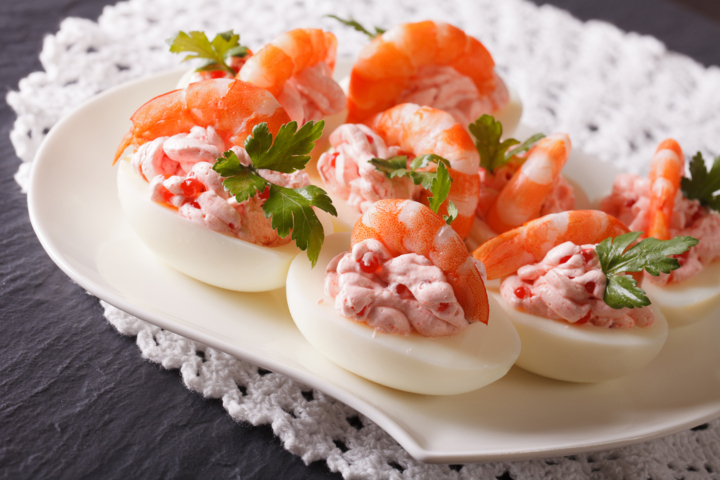 Fill egg white halves with mixture and top each with one shrimp. Garnish with fresh dill if desired.